Wishing everyone a safe and happy 4th of July. We salute those men and women who have fought to protect our freedom and independence. After our barbeque – being a Vegetarian I’m having a Veggie Burger with corn and potato salad – we are headed for the Gorham 4th of July Celebration. Carnival rides, games, and fireworks tonight it is a fun event for all – a wonderful small town celebration. Daisy refused to wear the hat but she’s got her 4th of July on! 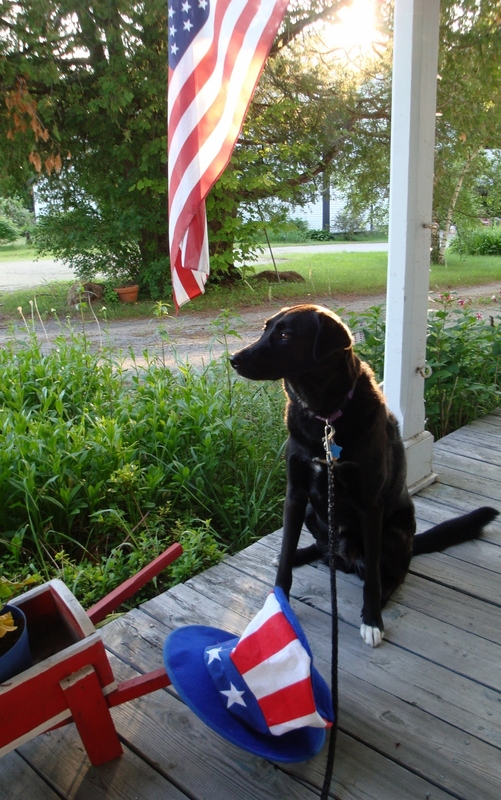 Daisy wishes you a Happy 4th!